Travel Experience of an Inexperienced Traveller! Helping other inexperienced travellers without going the professional route. My blog is my personal story, my personal experience which other travellers might find helpful before or during their trip. Europe's largest port & second largest city in the Netherlands, Rotterdam has more than this to offer. Rotterdam has many sky-scrapers, which is an unusual sight in most Dutch cities. All these modern buildings sure look beautiful & give Rotterdam it's identity as the most modern city in the Netherlands. But this is not what makes the city special. What made me fall in love with Rotterdam is that it is a city which was burnt to ashes & it rose from that like a phoenix. During World War II, Germans bombarded the heart of the city & destroyed it almost completely. From there Rotterdam evolved as the most modern Dutch city with its spectacular architecture. It is hard to believe, though! 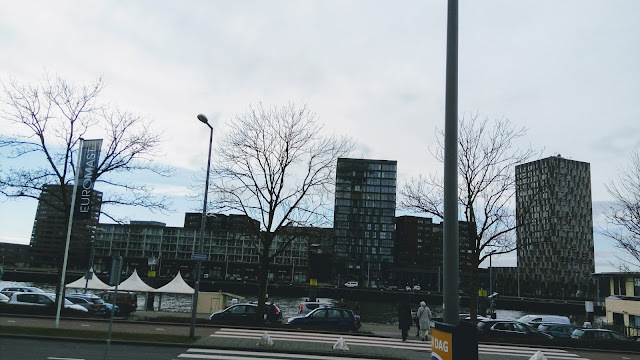 I went to Rotterdam on 11th of March, 2018 (a day after my memorable trip to Kinderdijk) & it was really cold & windy. The sun hardly shone & it left me freezing (which I love to the core). After seeing Kinderdijk which is an old, ancient place, visiting Rotterdam was a different experience altogether. The contrast was evident & I adore this. 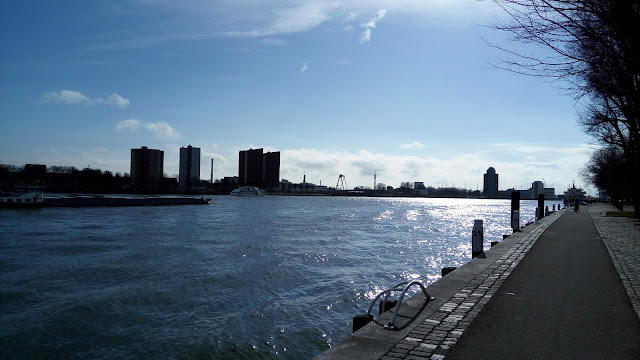 Rotterdam is a city in South Holland or Zuid-Holland where the rivers Rhine–Meuse–Scheldt meet. This setting gives Rotterdam its typical river-side view. It is well connected to other Dutch & European cities. It is also known as the Gateway to Europe. Home to the world-famous International Court, the Hague is the next station from Rotterdam (train-station). It is also quite near to the Kinderdijk, Gouda (home to world-famous Gouda cheese) & Delft (world-famous Delft blue pottery). 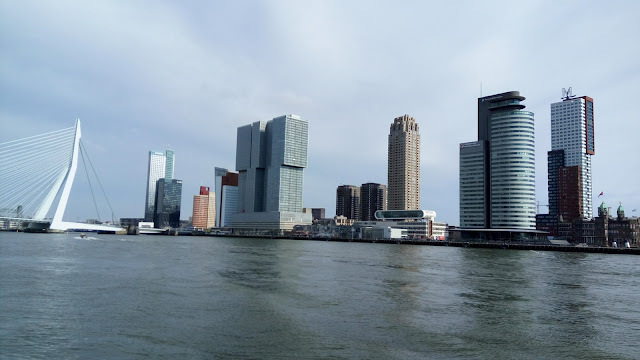 One great thing about Rotterdam is that almost ALL the major attractions are close to each other & one can easily see all of them if they are willing to walk a bit. It does involve a lot of walking but it is a great way to explore any city. Keep a map handy & you are good to go. 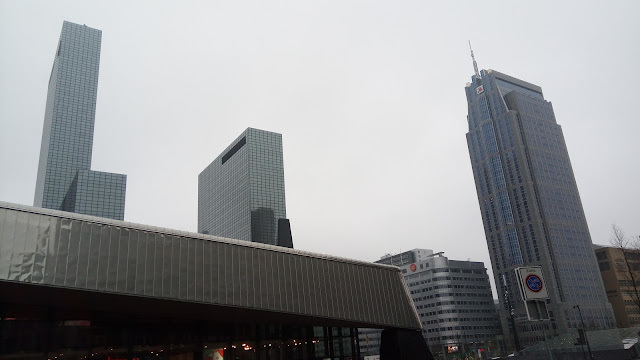 I came from Utrecht to Rotterdam Centraal Station which itself looks quite beautiful from both inside and outside. Fog engulfing the Twin Tower. 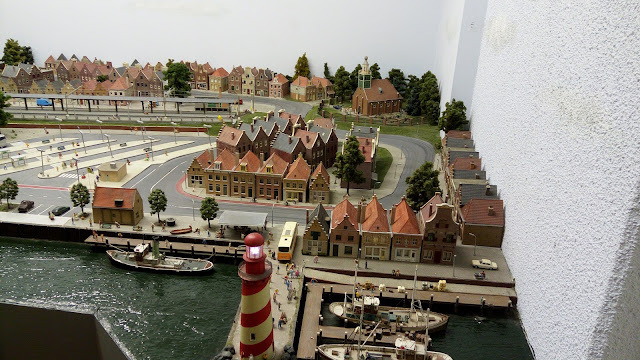 The entire Rotterdam city in a miniaturised form. 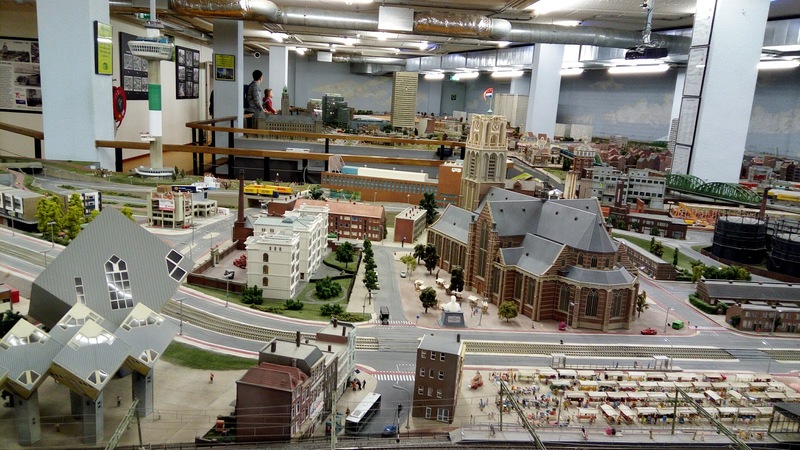 It is the largest miniature model in the Netherlands. Miniworld is a live model with day & night simulation & completely mimics the geography of the city. 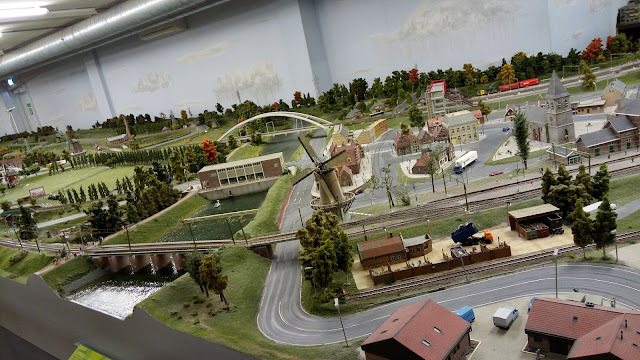 Live model means there are mini trains, trucks & windmills which are running continuously. 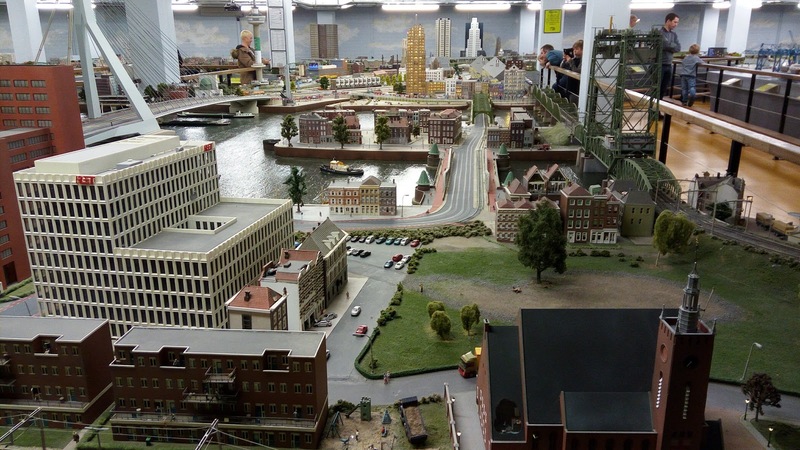 Since it is just 5 minutes walking distance from the Centraal Station, visiting Miniworld is a great way to start your Rotterdam trip. It will show you all the attractions so that you can decide which ones would you like to see. As I told above, all the major attractions are just a few minutes apart from each other. You can spend hours here. And it is even more awesome with the kids. They will love it for sure. There is a public washroom inside which is free & also has a restaurant. Oh, and the staff is probably the best you will ever witness. Especially Miss Marian who sits at the ticket counter. A proud Dutch & gem of a person. You can watch videos of Miniworld Rotterdam here. I wrote this post to compile all those videos together. For adults, it is 11.70 Euros per adult. For more information, see this official link. Europe's largest port for a reason. Rotterdam's famous Cube Houses on the left. Will be covered in next post. Famous Erasmus bridge. Features in next post. 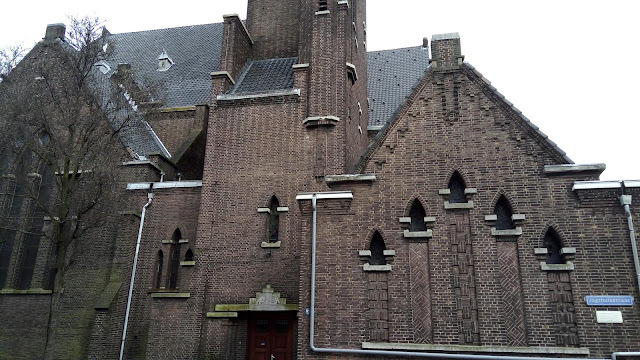 A Polish (of Poland) Church (or Parish) built in a Neo-Gothic style with a unique architecture. 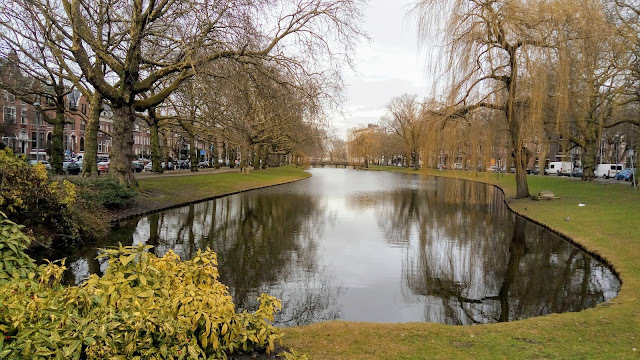 This is around 1 KM walking distance from the Centraal Station. It looks quite different from all the Churches I have ever seen. Dutch cities can never exist without their beautiful parks. I have seen them everywhere I have been to in the Netherlands. Below are some of the photos that I captured. Almost every iconic city has iconic towers. Paris has Eiffel Tower, Brussels has Atomium. Dusseldorf has Rhine Tower & Delhi has Qutub Minar. So, Rotterdam has Euromast Tower. It is an observation tower built in 1960 & is the tallest building in Rotterdam. The surrounding area is like heaven for walkers/bikers as there is a nice stroll along the Nieuwe Maas, which is a distributary of Rhine river. One can go inside the tower & then to the top of it which provides a breathtaking view of the city from a height. The ticket price to the top is 9.75 Euros. If you don't want to spend money, you can take a walk around the area. During this walk, you will be presented with a gorgeous view of beautiful tall buildings/skyscrapers, Erasmus Bridge, Nieuwe Maas & the Euromast Tower itself. You will also get to see the ships & similar stuff along with the experience of water flowing & air blowing. 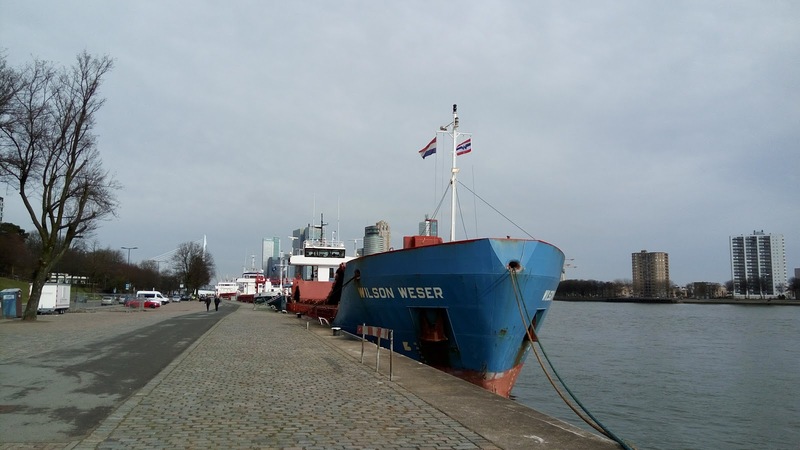 The famous Port of Rotterdam is also quite nearby & will take just 20 minutes on foot. Zoomed in view of Euromast Tower. 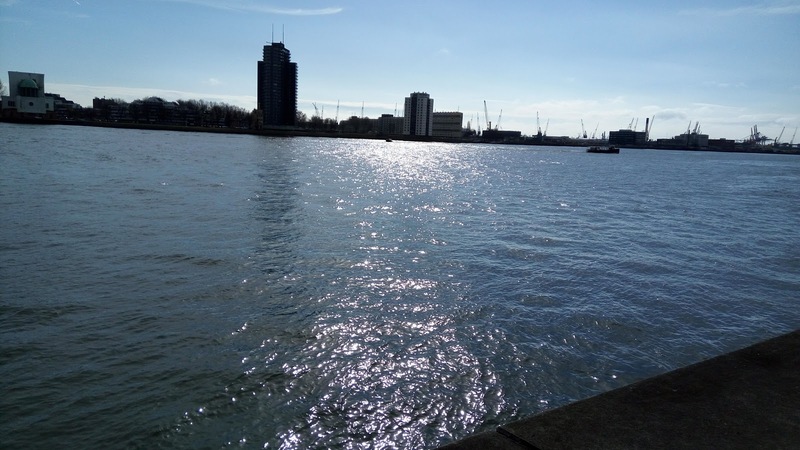 Nieuwe Maas & the reflection of the Sun. Tall building with the reflection of Euromast Tower. Beautiful view of iconic tall buildings of Rotterdam & Erasmus Bridge on the left. 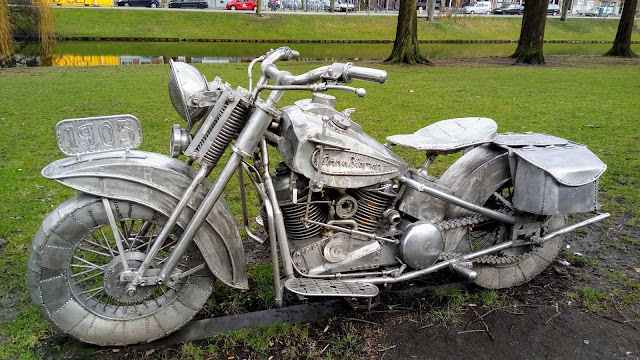 One of my most favourite photos that I took in Rotterdam. I also shared it on Instagram. The building of Port of Rotterdam shot from quite a distance. 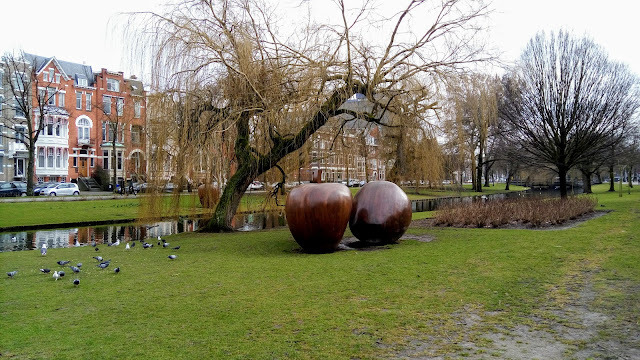 Holland is incomplete without these water birds! They are everywhere!